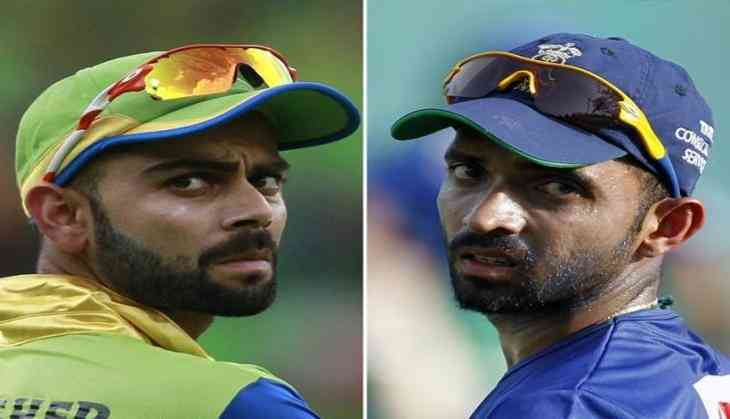 Ajikya Rahane's army will clash with Virat's Challengers in the 53rd match of the Indian Premier League at the Sawai Mansingh Stadium in Jaipur today. The Royal Challengers Banglore are on a winning since their last three matches in a row and would like to continue their streak. RCB began their winning streak by defeating the now eliminated Delhi Daredevils away from home and followed that up with a comprehensive 10 wicket victory over the Kings XI Punjab. They followed that with an incredible victory against the table-toppers Sunrisers Hyderabad in Bangalore. The Rajasthan Royals also have won three of their last four matches but come after facing a loss against Kolkata Knight Riders. However, Rajasthan will be playing today's match without their best batsman Jos Butler who has been their highest run-getter this season. Both, Buttler and Stokes, are travelling back to England for the beginning of their summer season. Both the teams have to register a victory in the match as a defeat here would mean elimination from the tournament. With the momentum and confidence, Royal Challengers Banglore will come up brimming with against the Rajasthan Royals, the outcome may very likely be against Rajasthan Royals. To add to Rajasthan's worries is the oust of Jos Butler and Bens Stokes. Moreover, RCB's strike bowler Umesh Yadav seems to have got his form back. A win in this match would place RCB on the third spot in the points table standings.